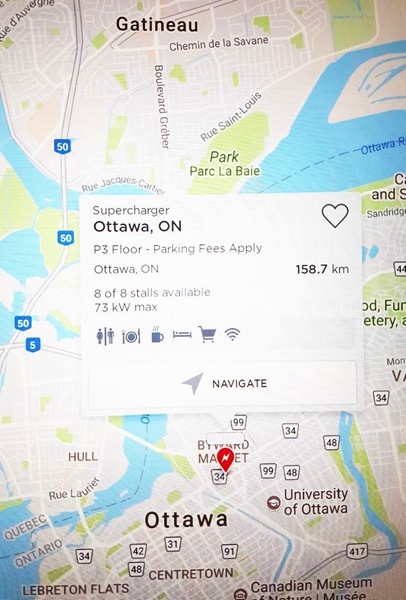 Tesla has opened up a Supercharger station in Ottawa, Ontario, bringing an 8-stall station to the nation’s capital. 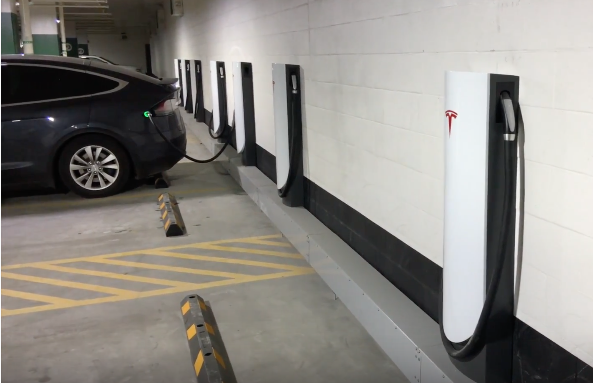 The Ottawa Supercharger station is located at CF Rideau Centre in P3 of the green parking lot and contains eight 72kw chargers, mounted against the back wall of the parkade. Last month, Tesla launched Superchargers in Brossard and Levis in Quebec, while the company also has plans to expand stations across Canada, to 58 more cities. Last week, Tesla unveiled their new Semi and second generation Roadster, even amidst Model 3 “production hell.” Canadian companies such as Loblaw and Walmart Canada have already placed pre-orders for the Semi tractor trailer, which starts production in 2019.